The 2019 Wisconsin State Shoot will be held on July 9-14, 2019. Make sure to mark the date in your calendars. See below for more information about events, programs, and other details. Building Our Future – CLICK HERE!!! **Please note, shooting will start at 8am on Sunday, July 15, 2018. The WTA Annual Meeting will be held on Friday, July 13, 2018. Shooting will start after the meeting is completed. An announcement will be made on the PA system when shooting is starting. The 2017 Wisconsin State Shoot was a resounding success! Thank you to everyone who participated, helped out and attended. Results and Trophy Lists are listed below. If you have any questions, please contact your WTA representative or email our webmaster. 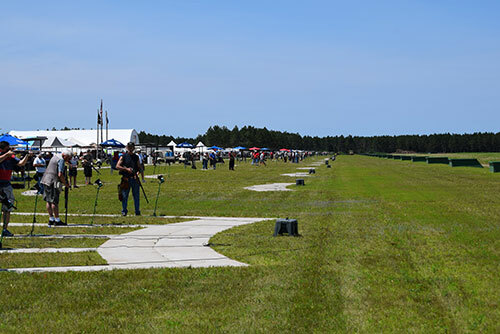 We look forward to hosting all of you at our Homegrounds site for the 2017 State Shoot. Thanks again to all who helped make this year’s shoot a success!